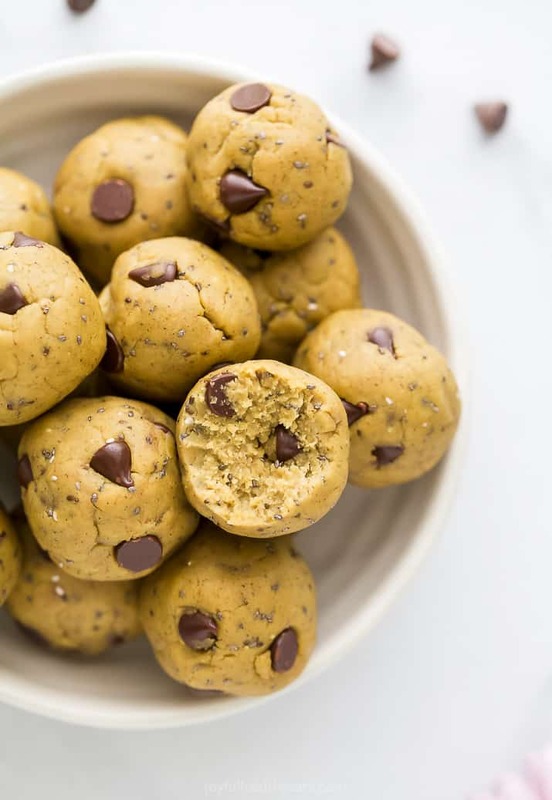 No Bake Vegan Cookie Dough Energy Balls made with 7 ingredients and only 111 calories a ball! 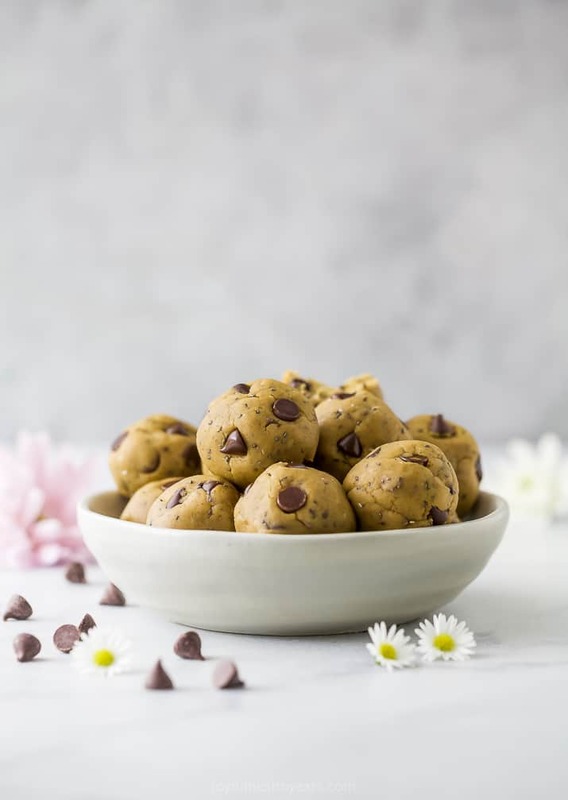 Vegan Cookie Dough Energy Balls made with 7 ingredients and no baking required! 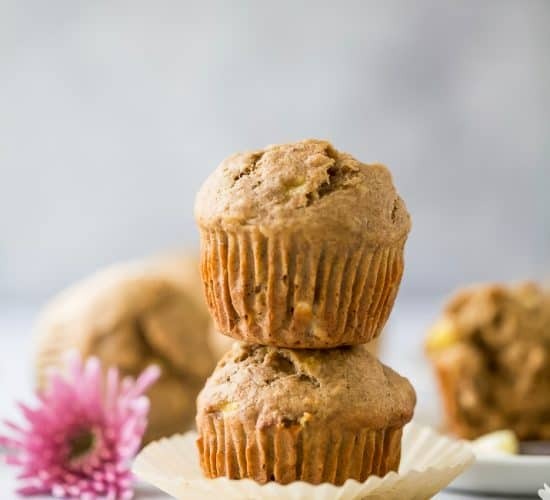 They are a great healthy snack or breakfast on the go with only 111 calories per bite – high protein, low carb and low sugar. Guaranteed to be your new favorite! 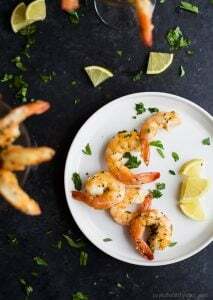 I cannot tell you enough how excited I am for this recipe! Energy Balls are kinda my jam. 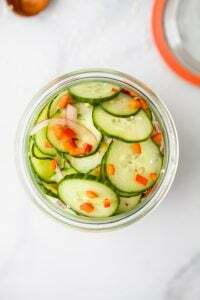 They are a great option for a quick healthy snack for me and my family during the week. Mike will grab them in the morning for a pre-workout snack, the kids will have one as an afternoon snack and usually I grab one after a workout. They disappear fast with a family of four and I’m quickly learning that I need to double this batch if I want it to last a week. 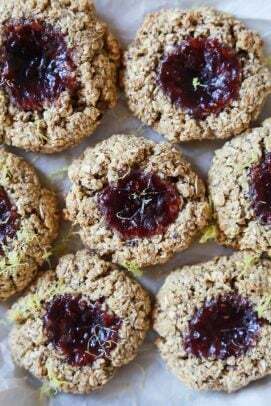 So many Energy Ball recipes start with a base of oats. 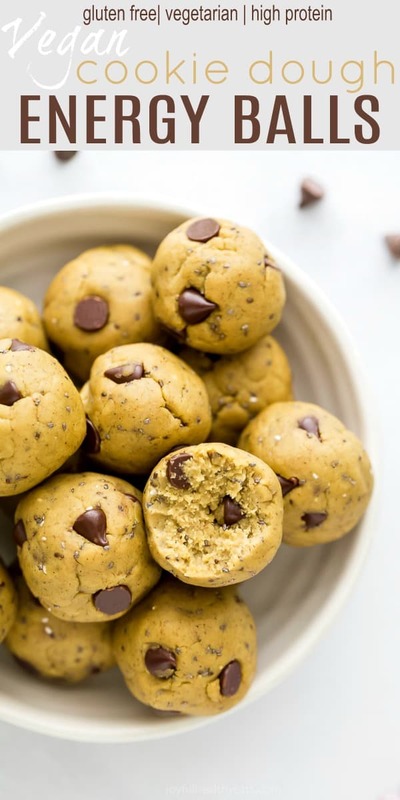 How to make oatmeal energy balls? 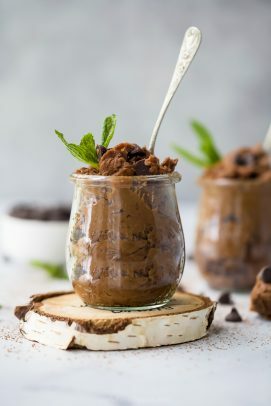 Now, that is your basic No Bake Chocolate Peanut Butter Energy Ball and I have that one on my site. 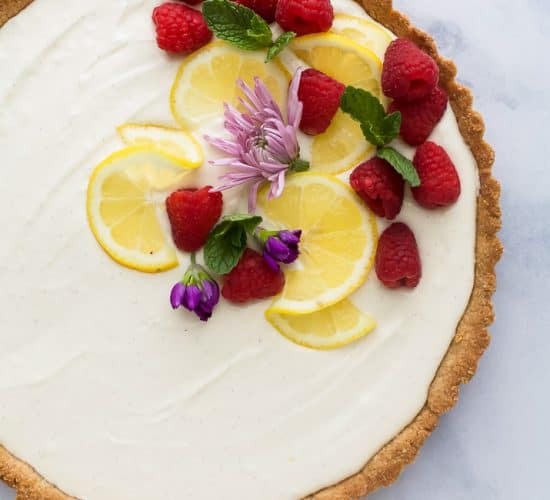 (get the recipe below) Easy peasy… lemon squeezy. 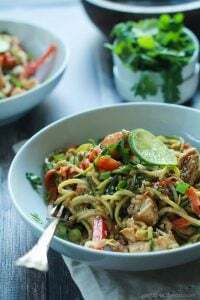 I don’t use oats as the base for this recipe. 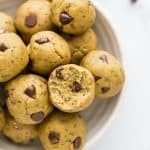 The base for these Vegan Cookie Dough Energy Balls is CHICKPEAS! 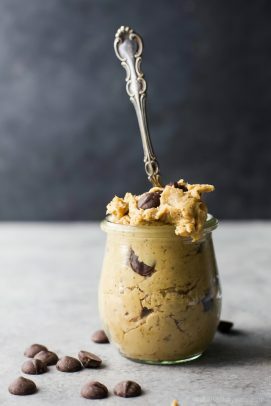 Because you’re using chickpeas, this recipe does require you to use a food processor or blender because you’re going to turn the chickpeas into a paste. 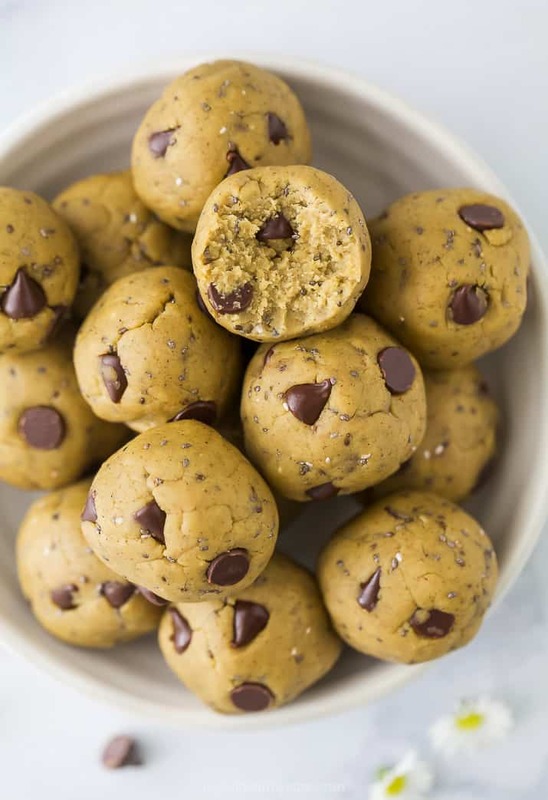 But let me tell you, you’re gonna love the texture of these way more than the regular energy bites. 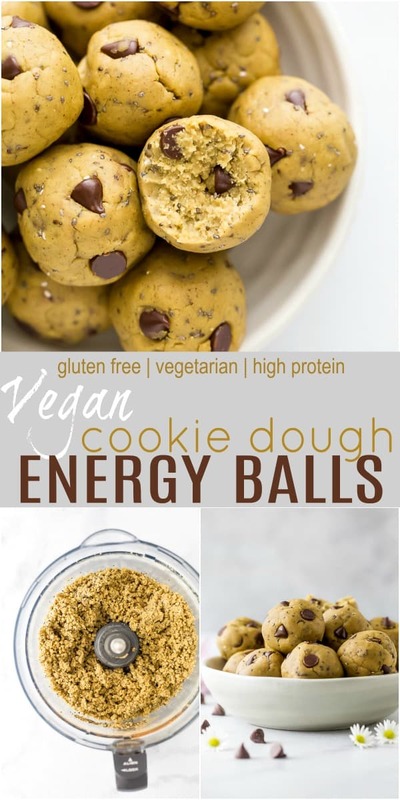 So, how do you make Energy Balls Vegan? It’s simple you just use ingredients that are plant based. 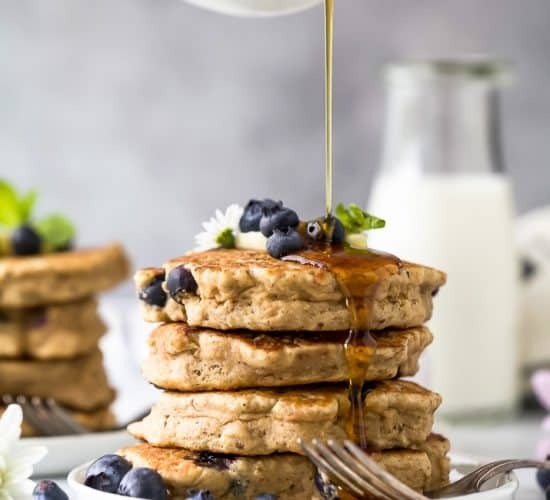 Things like maple syrup instead of honey, vegan chocolate chips instead of regular chocolate chips that typically contain milk products of some sort and a vegan protein powder. Using those simple swaps will give you a vegan energy ball! One of the biggest questions I get from people about energy balls is. 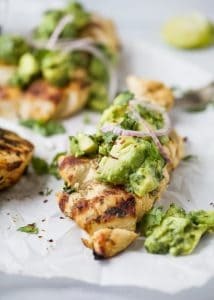 How do you make your energy bites stick together? With the oats recipes I usually just add water to the food processor or blender and that helps them stick together. 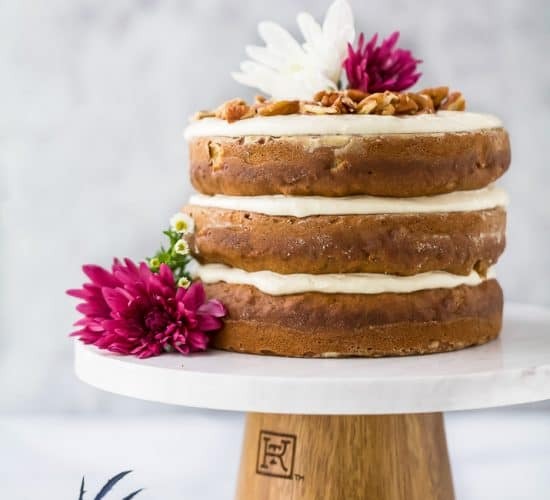 But with this recipe, you won’t run into that problem because they are made without oats, honey or dates. The chickpeas act as your binder, meaning you won’t run into the whole “crumbly mess” situation! How do you store energy balls? 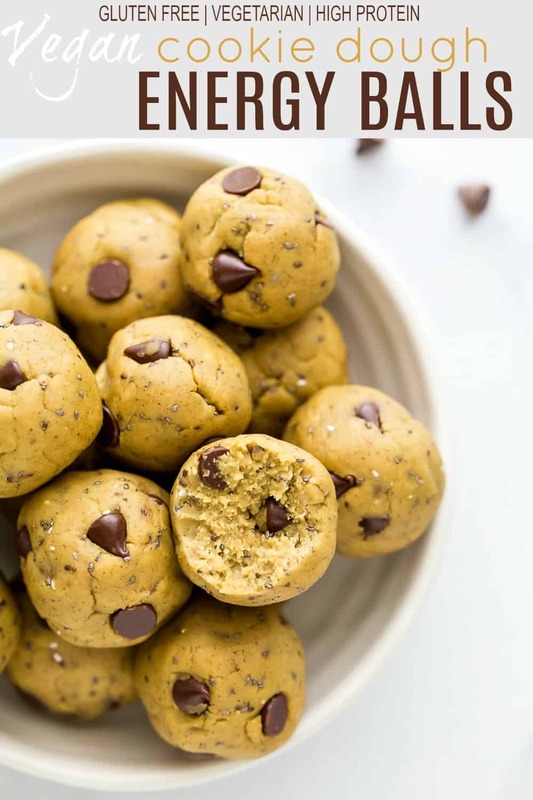 The best way to store these protein balls is in a ziplock bag and place in the refrigerator. I like to keep them cold so that they don’t mold or fall apart. I find keeping them cold helps them stay intact and last longer. If stored properly these energy balls will last 7-9 days. The best time to eat energy balls is either 30 minutes before a workout or 10-15 minutes after a workout. They help give you the energy you need before your workout or replenish what you lost after your workout! 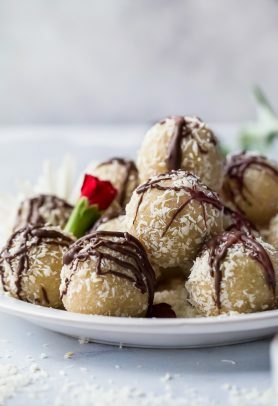 Can energy balls be frozen? Yes. 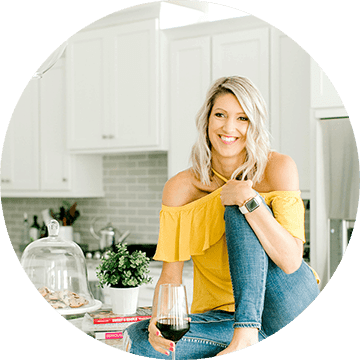 Typically energy balls stored in the fridge will last for about a week. However, you can also freeze them. 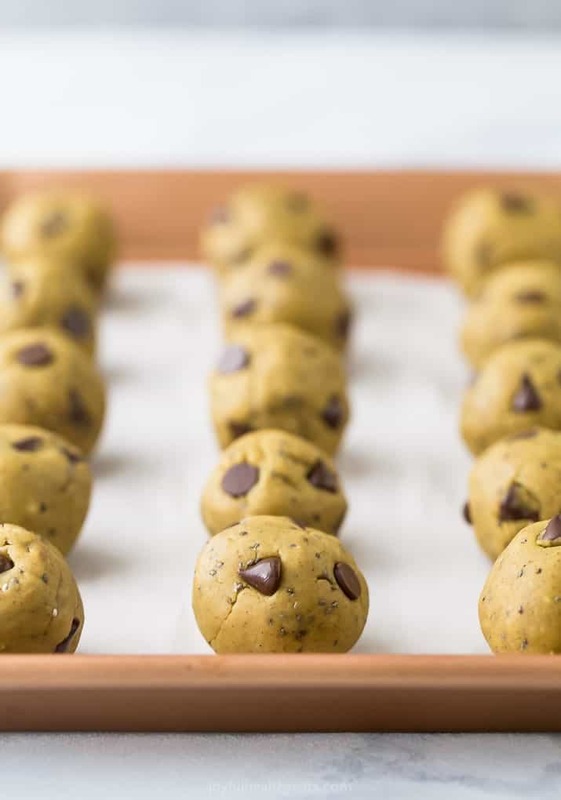 Put energy balls on a baking sheet and place in the freezer for the 30 minutes. Remove and place in a freezer safe storage bag and put back in the freezer. Energy balls will last for 3 months. I guarantee you’ll want to eat these at all times of the day! They are that good, I almost have to keep a secret stash so my family doesn’t devour them before I get to them. I can’t wait till you guys give this one a try. It’s a game changer for sure. 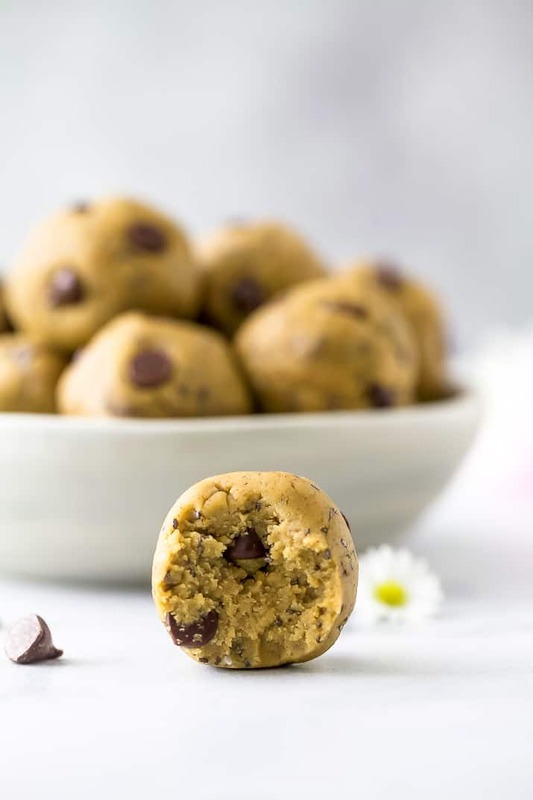 Vegan Cookie Dough Energy Balls made with 7 ingredients and no baking required! 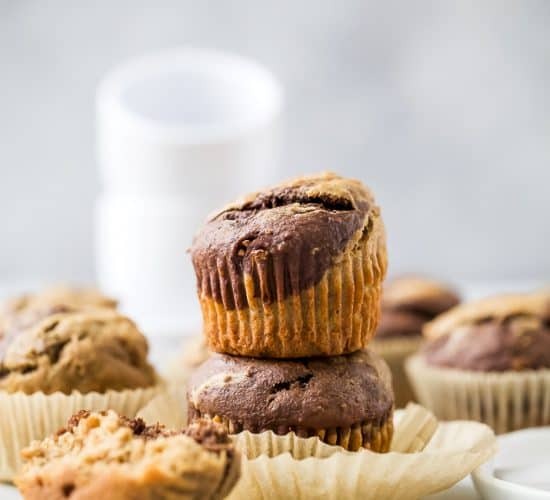 They are a great healthy snack or breakfast on the go with only 111 calories per bite – high protein, low carb and low sugar. 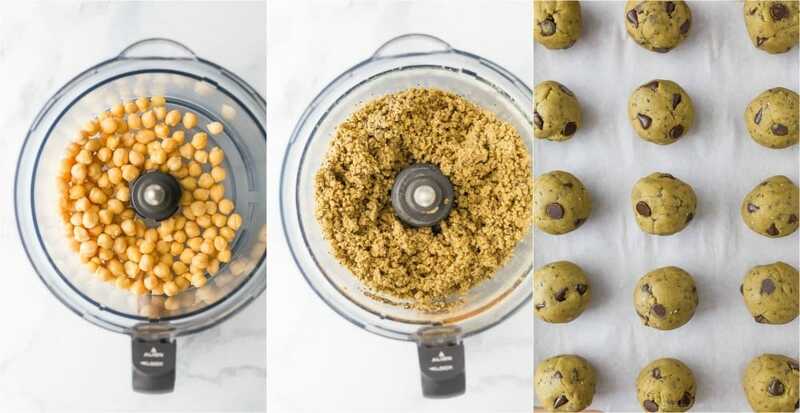 Add chickpeas, peanut butter, maple syrup, chia seeds, protein powder and cinnamon to a food processor. Blend until smooth and creamy. Roll into 1″ balls. Serve immediately.